Every type of emotion comes from one of two roots: LOVE or FEAR. This has been proven scientifically and all the data on it can be found in an awesome book called “A Gift Within” by Carolina Leaf. All other emotions grow from these. From LOVE flows: joy, peace, happiness, hope, patience, kindness, gentleness, faithfulness, self-control, anticipation, compassion, calmness, satisfaction, inspiration, excitement. 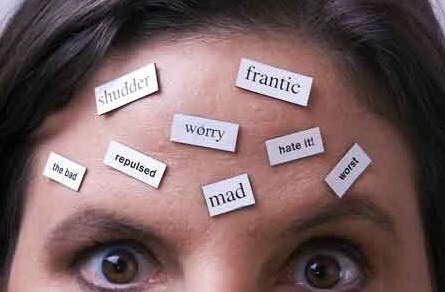 From FEAR flows: hate, anger, bitterness, rage, irritation, unforgiveness, unkindness, worry, self-pity, envy, jealousy, obsession and cynicism. God gives us the choice as to which thoughts you will be operating in. You cannot blame your spouse if you choose to have your thoughts operating in a pool of FEAR. 1John 4:18 (AMP) “There is no fear in love (dread does not exist), but full-grown (complete, perfect), love turns fear out of doors and expels every trace of terror! For fear brings with it the thought of punishment, and so he who is afraid has not reached the full maturity of love (is not yet grown into love’s complete perfection)”. THIS IS AMAZING: Scientists have found that these two emotions, love and fear, CANNOT COEXIST. WHAT IS AMAZING is the fact that God already said that in 1John 4:18, even before scientist discovered it. 1John 4:18 “There is no fear in love…”. Science shows us that when we operate in love, there is a massive unlearning of negative toxic thoughts. The brain releases a chemical called, OXYTOCIN, which melts away negative toxic thoughts. This causes re-wiring of new non-toxic circuits. When we trust, bond and reach out to others, this chemical also flows. LOVE literally wipes out FEAR!! How exciting!! Science has to prove the word of God to the unbelievers. As you help your spouse or restore your relationship with your spouse, endorphins and serotonins are released. These chemicals in our body are what make us feel good about ourselves. So when we reach out in love, God blesses us. He detoxifies our brain and increases our wisdom. Don’t be at the mercy of toxic memories. Do you have hate, anger and bitterness towards your spouse? Do you treat your spouse with rage, irritation, and unforgiveness? Does self-pity, worry, envy and jealousy run through your vains? Are unkind words in your vocabulary towards your husband? You DO NOT have to be at the mercy of toxic memories! Let God detoxify your brain. JUST ASK HIM! !